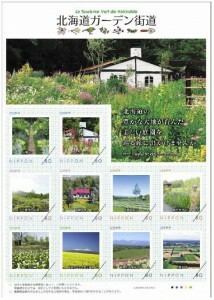 The original frame stamp of the Hokkaido Garden Highway will be sold. 7 It is the theme of the landscape such as garden and Taisetsuzan mountains. Please purchase for your hands by all means. For details about the sales post officeclick herePlease see. ◎ This frame stamp is not handled in each garden.